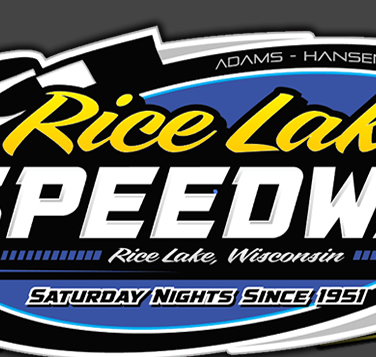 RICE LAKE, WI (May 9) – Darrell Nelson made his first appearance of the year Saturday night at the Rice Lake Speedway and the “Hermantown Hammer” topped the biggest field of Modifieds of the season as he won his first open wheel feature race at the track in twelve years to highlight the fourth racing program of the year at the track. Also winning his first feature race of the year was Ryan Viltz while repeat winners emerged in Curt Myers and Jason Havel. In the meantime, Hunter VanGilder became the top winner at the track as he added yet another feature win to his early season totals. Tim McMann and Matt Leer battled during the opening laps of the Modified feature as first McMann and then Leer took the top spot. Running the high line, Leer was able to edge past McMann to take over the point, and he then quickly began to put some distance on the field. Jason Gross was on the move along with Mark Hessler and they pulled in to add to the battle for second. Nelson started fifth on the grid, and he chose the low line on the track and after a couple of laps he started to quickly move forward. He drove past Hessler and then McMann to take over second as the yellow flew. On the restart, several cars stacked up in turn one leading to a lengthy delay as the cars of Kerry Halopka and Neil Balduc simply couldn’t be pried apart and track officials were finally forced to drag both cars off the track, still entangled. Back on the green, Nelson dove to the low side of Leer and after a brief battle, Nelson was able to pull into the lead. Hessler closed in to challenge Leer for second with Gross battling McMann for position. Unfortunately, just at the halfway point of the race, Leer lost control in turn four and spun across the track, clipping Hessler in the process. Leer was done and the damage would eventually see Hessler also park his car. The last half of the race went nonstop and Nelson pulled away from the field. Gross would get past McMann for second while Kevin Adams and Cory Mahder would work their way up from the fifth row to complete the top five. Nelson’s last Modified win at Rice Lake dates back to the 2003 racing season. 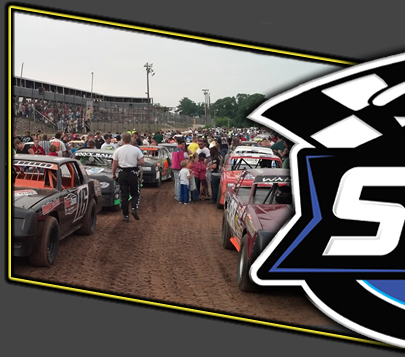 VanGilder remains the talk of the speedway as the rookie driver won his third Street Stock feature win of the season already, an unheard of accomplishment given the toughness and numbers of cars in the class. VanGilder started fourth in the feature race and gradually worked his way into contention behind leader Kevin Bogdanovic. Bogdanovic started on the pole and moved away to a nice early advantage but a pair of early race yellows bunched up the field and allowed Ron Hanestad, VanGilder and Cody Kummer to become challengers. VanGilder was able to work his way into second and he started to press the leader, nearly getting by on one occasion while Hanestad worked the high side of the track and continued to run right with the other leaders. A loose wheel with three laps to go triggered the yellow again and this would prove to be Bogdanovic’s undoing. On the green he spun his tires and slipped up the track, opening the door and allowing VanGilder to drive under him for the lead. Kummer also took advantage to shoot into second and on the last two laps he pressured VanGilder hard, rapping on his rear bumper in the corners. VanGilder would not be shook however, and he held the groove to take yet another main event win. Kummer finished a strong second with Bogdanovic settling for third ahead of Hanestad and Josh Amans. The Super Stock feature went green to checkered and was highlighted by a great battle for the lead between eventual winner Myers and Shane Kisling. Kevin Burdick was the early leader of the race but Kisling came flying up on the high side from the third row and he drove past Burdick to take over the lead. Myers then made his move and he also got past Burdick and closed on Kisling. The two veterans, both with many laps on this track, then engaged in a highly competitive and spirited battle for the lead. Running door to door, they raced for the lead, exchanging the top spot on nearly every corner for several laps as both used every inch of the track in a crowd pleasing duel. Several times they seemed inclined to wreck each other as close and hard as they were racing, but such was not the case as both raced hard but clean. Myers was eventually able to edge away from Kisling in the late going and build up a three car length lead. Kisling was then challenged by Jason Forehand, who has sat back and watched their battle and then made a move of his own. Myers continued on for the win while Forehand made a great charge on the last lap, dipping between a lapped car to edge Kisling for second. Eric Olson ran fourth for just about the entire event and Burdick hung on for fifth. The Midwest Modifieds also ran a nonstop main event and Viltz came from the second row to record his first win of the season. In the early going, a great side by side battle between Tyler Luger and Mickey Nosser held the fans attention as they raced wheel to wheel for a number of laps, battling for the lead while at the same time trying to hold back Viltz and Grant Southworth. Viltz made a great move in turn four as he split the leaders, was able to edge ahead of Nosser for second and then close on Luger. Continuing to use the high side, he drove past Luger and took over the top spot. With no yellows to bunch the field, Viltz then began to open up distance on the field. From farther back in the pack, drivers began to move their way forward. Travis Anderson went to the top side and was able to move into second and then tried to track down Viltz. Nick Koehler also worked the top side and he drove into third. The top three maintained about an equal distance between each other as they motored on to finish in those positions. Shane Halopka came roaring forward from the thirteenth starting position to move into fourth near the end but ran out of laps with Michael Truscott tight on his rear bumper. The Pure Stocks had a tough time of it with fifth yellow flags in the first five laps of their main event. The worst event occurred when leader Trenten Holub spun exiting turn four with the whole pack between him. Holub was hit hard twice by other cars, the toughest impact triggered when Chris Johnson couldn’t avoid him and nailed him right in the driver’s door. Holub was shaken and an extended period of time was necessary to extract him from the race car. He was removed from the car on a backboard and was reported to be alert and conversing with the rescue crew. However, he was transported to Lakeview Medical Center for evaluation. With the race back under green, the wild action continued with the leaders going four wide up front, and Havel emerged from the scrambled action, coming from eleventh on the grid to slip past Nick Traynor and take the top spot. Traynor pushed hard trying to keep up with Havel as did C.J. Wagner as the top three ran away from the field. They continued to run in close order but no one made a mistake and the top three finished as they were running. Brent and Mike Miller filled out the top five. 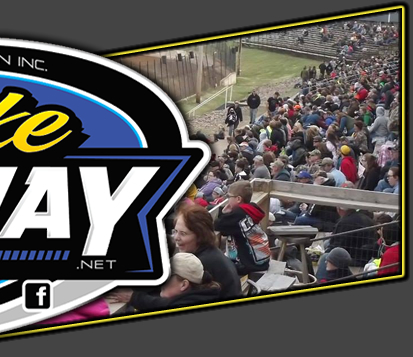 20 lap Feature – Curt Myers(Cameron), Jason Forehand(Eau Claire), Shane Kisling(Sarona), Eric Olson(Ladysmith), Kevin Burdick(Proctor MN), Eric Martini(Avon MN), Mike Anderson(Colfax), Randy Spacek(Phillips), Dave Flynn(Superior), Nick Oreskovich(Mason), Willie Johnsen Jr, Terran Spacek, Bart Steffen, Andy Grymala, Scott Lawrence, Don Muzzy, Mark Smith, Cole Spacek, Marcus Dunbar, Patrick Heikkinen.